Posted 1:25 pm, May. 21, 2018. Vanderbilt boosts its business school presence in Japan. The connection between Tennessee and Japan isn’t immediately obvious. One is home to the world’s largest city while the other takes pride in the wisdom and traditions of its rural roots. One is an island nation, the other is landlocked. Sushi vs. barbecue. But the connection between Japan and the Volunteer State is strong, dating back about four decades to when then-Gov. Lamar Alexander wooed Nissan executives to open their first U.S. plant here. Owen’s strong connection to Japan is due in no small part to Distinguished Alumnus Heiki Miki, MBA’96, who recruits for Owen everywhere he goes. Those negotiating found that Japan and Tennessee actually share much common ground. Tradition and hard work are important to both cultures. Both are on the 35th parallel, giving them similar climates where dogwoods and cherry blossoms bloom each spring. And they had the same commitment to smart business decisions. In the end, Nissan built its long-awaited U.S. auto plant in Middle Tennessee, triggering a tsunami of Japanese investment in the state. Today, the nearly 180 Japanese-owned companies in Tennessee account for more than half the foreign direct investments in the state. 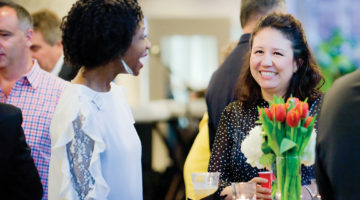 That strong connection between Tokyo and Nashville is echoed at the Owen Graduate School of Management, where close to 100 students from Japan have earned business degrees. The steady pipeline of students is bolstered by a robust alumni network in Japan. 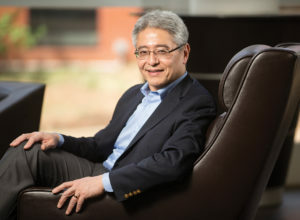 The strength of that connection is due in no small part to Heiki Miki, MBA’96, long the point man for international students interested in a Vanderbilt education. An Alumni Board member and Owen’s 2015 Distinguished Alumni Award recipient, Miki combines the globetrotting nature of his position as managing executive officer at Shinagawa Refractories with his passion for Vanderbilt, recruiting for Owen everywhere he goes. Profiled here are six students who came from Japan to earn their Vanderbilt MBAs, returned home and remain plugged into the Vanderbilt network. Business development manager, Terumo Corp.
Every day, the leadership skills that Gucci Haraguchi developed at Vanderbilt come into play in his job at Tokyo-based Terumo Corp. In the four years since he earned his MBA at Vanderbilt, Haraguchi has gone from a lead communications role at the global medical device manufacturer into business development, where he helps expand the company’s network of customers and markets. Kazuya “Gucci” Haraguchi, MBA’13, credits Owen’s Leadership Development Program with giving him the skills and tools he needs to work successfully with others who come to the table with differing perspectives. Haraguchi passed on skills he learned at Vanderbilt to his communications team, and now working in business development, those same leadership skills help him cross cultural barriers to develop win-win situations. Haraguchi had to move out of his comfort zone to attend Vanderbilt. He was drawn to Owen by its smaller size, the opportunity to specialize his studies in health care, and the city of Nashville itself. He says the orientation program for international students helped him get more comfortable in the city and the new environment, allowing him to build relationships with other students and get used to the style of classes in the United States before classes began. In his current role at Terumo, Haraguchi helps market newly launched products, focusing on infection prevention and safe infusion therapy. Haraguchi also keeps his business network up to date as vice president of communications for Vanderbilt’s alumni chapter in Japan. Haraguchi has built close relationships within the Commodore network, adding that he gains valuable insights from alumni who have different viewpoints and philosophies, building the skills he uses at the office. It’s been 15 years since Hiroshi Manabe graduated from Vanderbilt, but he still draws on the skills he learned during his MBA program in his career with SMBC Trust Bank. 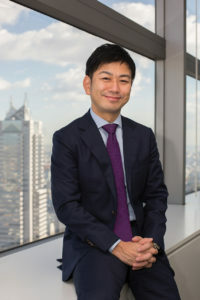 Hiroshi Manabe, MBA’02, was tasked with corporate planning of the new bank formed by SMBC’s acquisition of Citibank’s retail banking operations in Japan three years ago. He relied heavily on his Owen experience as two cultures merged. acquisition, he moved from a leadership role in SMBC’s retail banking planning department to head up corporate planning of the new bank. Last April he was named executive officer, and now he is head of human resources. The Citibank acquisition is a microcosm of the critical changes facing Japan’s banking industry, including digitalization—artificial intelligence, robotics and FinTech—and globalization. Manabe has enjoyed the charge of merging two cultures in an industry that keeps changing. 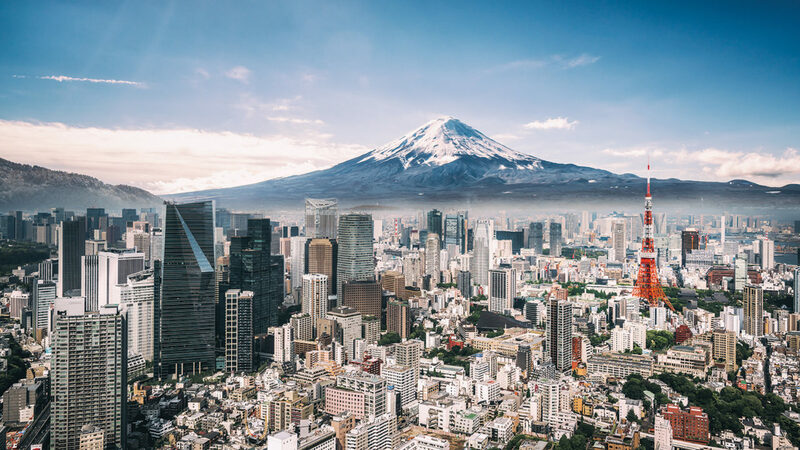 Manabe says that Japan’s banking workforce—and the Japanese workforce in general—employs highly detailed decisionmaking processes that typically do not include contrasting viewpoints. But as technologies and globalization push change on the banking industry, those traditional business practices also need to evolve. Again, Manabe turns to his Vanderbilt training, where he learned to leverage opposing opinions and outlooks to deliver a better outcome. Equity research analyst Hisa Yamaoka has spent most of his career focused on the auto parts industry, building a career based on a deep knowledge of the business and the ability to share that knowledge with institutional investors. An equity research analyst of tire companies at Japan’s leading securities and investment banking company, Hisa Yamaoka, MBA’15, says Owen’s close-knit community helped him adjust to life in the U.S. 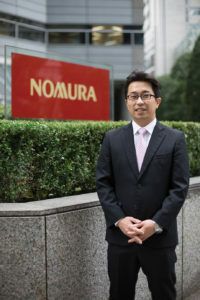 He earned a degree in economics from the University of Tokyo and shortly after graduation joined Nomura Securities, the leading securities and investment banking company in Japan. He worked there for seven years before coming to Vanderbilt for his MBA. Yamaoka says his education at Vanderbilt helps him excel in an incredibly competitive industry. “You are always looking to improve the margins in the auto industry,” he says. Adjusting to Owen and life in Nashville took some time, he says. “It had been many years since I had been to university, and it was very different in Japan—almost all lecture-style classes,” he says. “At Owen we were assigned to teams right away, and I had to speak up in class. There was no recourse but to dive in.” He says the close-knit community helped tremendously with the transition. Along with other Japanese students, Yamaoka helped launch Owen’s first Japan Week, giving his classmates a feel for his home country’s culture, companies and business practices and products through lunch and learns, executive visits and displays. “We had Bridgestone tires and a Nissan Murano in the lobby at Owen,” he says. Norihito Nakamura learned a lot in his finance and strategy classes at Vanderbilt, but he also leans on the soft skills he studied— effective conversations, how to listen and the upside of failure. After many years with NTT East, the telecommunications executive is now on loan to the Tokyo Olympic organizing committee of the International Olympic Committee as the telecom delivery leader. In his new role, Nakamura works with people who bring different customs, different cultures, different needs and different stories to their work. He finds that being an active listener—a skill learned at Vanderbilt— helps him build good working relationships. “I have to talk with many people from all over the world. I always keep in mind that listening is the key to understand what someone wants,” he says. “I sometimes want to say something when someone else is talking, but I try to listen twice as much as I speak, since we have two ears and one mouth. 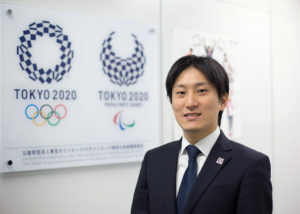 Norihito Nakamura, MBA’14, talks with people from all over the world in his role as telecommunications delivery leader for the Tokyo Olympic organizing committee. Speaking up with his own ideas was a skill he developed at Owen. 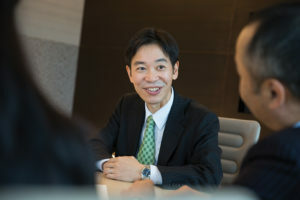 Nakamura’s teambuilding skills serve him well on his work with the Olympic committee, and they have also been essential in his career with NTT, the fourth largest telecommunications group in the world. NTT is facing a changing industry as the Internet of Things takes hold. The company finds itself in an industry with increasing competition and increasing infrastructure needs, but no mechanism to increase profits. NTT provides internet access but not products— no Google Home or Amazon Echo. “We have to find new services or products to increase our revenue stream,” Nakamura says. But innovation also involves failures, and picking back up after those failures. At Vanderbilt, Nakamura learned that failure is an important—and often essential—part of business. The Owen practice of give and take between students and faculty in the classroom was challenging for Nakamura at first. Nakamura learned to develop questions and ideas ahead of class sessions so he would be ready to participate in—and enjoy—the lively class sessions. Yasuyo Mikami, MBA’16, who combines her sales background and MBA experience at Aflac insurance company, says she learned how to be successful in a competitive market through the kind and supportive community at Owen. Coming to America for an MBA was a natural choice for Mikami. She majored in American studies as an undergraduate in Japan, and during that time had spent two semesters at Utah State University. When she began looking at MBA programs, the strong network of Vanderbilt alumni in Japan was a plus. With Aflac’s sponsorship, Mikami came to Vanderbilt. 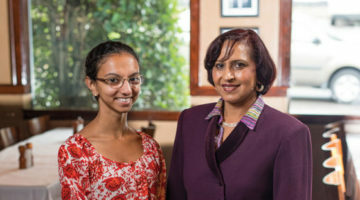 Once at Owen, she was attracted even more by the collaborative culture that extended beyond the classroom. “Honestly, it was challenging for me at the beginning,” she says. “My classmates and the faculty were very kind and supportive.” Serving as president of the student-run Japan Business Club helped her give back to the Owen community by helping American students get a flavor of Japanese culture. Since earning her MBA, Mikami has moved into a new strategic planning role at Aflac that allows her to combine her sales background with her MBA experience to incubate new programs to strengthen agencies. “Although Aflac is an insurance company, we must look into fields beyond insurance— health promotion, using AI to further cancer research—to survive in this competitive market,” she says. Middle manager, IT, NTT Data Corp. He believes the skills and strategies he learned at Vanderbilt help him succeed in a tumultuous industry. Yoichi Narahara, MBA’11, says the Owen School’s team culture made him think globally and intentionally about meeting his customers’ needs as a manager of IT sales and planning for the financial industry. His group handles sales and planning for the financial industry. To plan sales strategy, Narahara weighs factors such as the overall economy, the clients’ industry, IT trends and NTT’s capability. After 12 years in his career, Narahara decided to get an MBA to deepen his knowledge of finance so he could better understand his customers’ needs. But he wasn’t alone. He remembers studying with his classmates late into the night, even when job-hunting season was at its peak. The strong team culture at Vanderbilt made it easier. 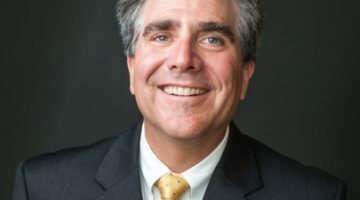 He relies on the management lessons he learned at Vanderbilt in his everyday work, both internally, with his team and top executives in his company, and externally to clients.